Matt Grobert and Tightlines Productions team up on a very detailed video on how to tie a red quill. There are some great detailed tips around the winging and the quill body. Simply superb camera work and narration. 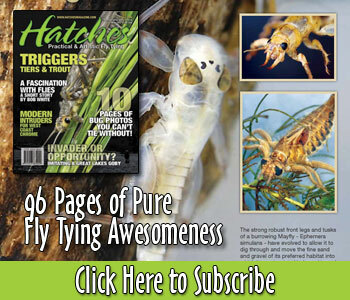 At age 80 I’ve seen and read a LOT on fly tying, and this hits the top of the list. Keep up the excellent work! great detail on the tying steps.